I play a lot of video games but I am often far behind the latest release. I didn’t finish playing Pokemon Gold until Pokemon Heart Gold came out. I’m still working on Skyrim and Assassin’s Creed too. I’ll probably never experience Mass Effect or Dragon Age: Origins. Mount and Blade is one of the few games I started playing when it first came out. The game was created by a Turkish couple and once it became popular they created a video game studio around it called TaleWorlds. TaleWorlds has just announced that Mount and Blade will be coming out on the Nvidia Shield. I’ve never heard of the Shield, but the people at TaleWorlds are excited to branch out beyond the PC. In Mount and Blade you take on the role of a warrior in a medieval world with a variety of warring factions. The game is entirely sandbox based. There is no plot to follow. You have to make up your own plot. The first time I played the game I started a civil war in one of the five kingdoms and ended up on the victorious side. The second time I formed my own kingdom and conquered the world for myself. The gameplay is what you’d expect for a third person shooter in medieval times. You get swords, armor, bows, and other equipment to do battle with. RPG elements are mixed in as well. Your character levels up and has a few skills that influence the setup of battles as well as your combat capabilities in each battle. The more battles you win the more gear and money you get, money of course being spent on more gear. The name of the game is Mount and Blade, so there is a fair bit of horse-riding in the game. Cavalry are vastly superior to other units in open field combat. Mount and Blade is also one of the few games to make horse combat interesting. Mounted combat meshes seamlessly with foot combat. Your character rides his horse around, hitting people as he rides by. If you aren’t careful eventually your horse will be taken out. You can try to find another horse that has lost its rider or you can continue on foot. Mount and Blade is also one of the few games I’ve seen that fits single combat with RTS style combat. The only character whose actions you control directly is your own, but your character can bring potentially hundreds of others to the battle with him. These soldiers are given orders through hotkeys or a menu during battle. The orders can include positions to take on the battlefield, which weapons to use, whether to mount horses or stay on foot, and how tactical formations such as a wedge or turtle shape. The soldiers that you command in battle have a morale that is heavily influenced by what food you give them. The greater variety of food they have to eat, the better and longer they fight. I spent a fair amount of game time buying more and more food for my soldiers to eat because they kept eating everything up after each battle. Your soldiers level up after a battle just like you do. They get better gear and stronger combat capabilities with each new level. A fully leveled army is necessary for one of the greatest challenges in the game, sieges. Sieges are the final objective in Mount and Blade. Unless you actively avoid it, your character will eventually end up in a siege. Assaulting a castle has two basic methods, just like in real medieval wars. You can wait for the combatants to starve or you can attack them with siege engines and try to take over the castle by force. Using force is almost always the better option in Mount and Blade. Siege engines are used to breach the walls of the castle in someway first. This can be a battering ram that breaks down the castle gate, ladders that scale the walls, or a siege tower that goes over the wall allowing access. Once inside the castle walls you have to eliminate the enemy presence before your troops run out. Then you break into the inner keep and take on the guard there to secure the castle as your prize. Your character can also defend from sieges. The same rules apply. My favorite tactic was shooting arrows at the soldiers pushing the siege towers up to my walls to try and slow the advance of the behemoth siege engine. Mount and Blade also has an intense mod community. There are hundreds of mods that add small new things to the game or completely change it. Different mods can change the game to new historical periods, or fantasy periods. You can play a jedi on a speeder instead of a knight on a horse if you want. Some mods introduce boats. Others let you play as if you’re a King’s Guard in Westeros if you like Game of Thrones. I tried out a few. One of my favorites advanced the timeline of the basic game to Renaissance era, allowing rudimentary firearms to be used in combat. I played the original game out as much as I felt like playing. A sequel came out awhile back, but my impression of it was, “We added some good ideas that were already present in mods and added a multiplayer mode that Mister Ed won’t be using.” A new sequel is scheduled to come out soon though! I’ve been thinking of taking a look. Maybe I’ll see you in the multiplayer mode there if I decide to try it. 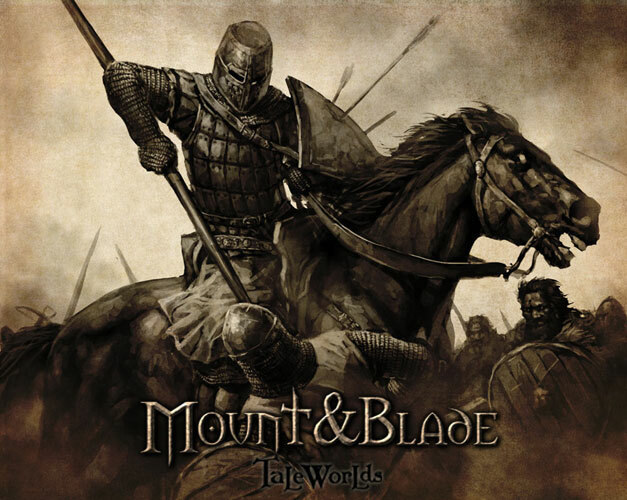 You can find Mount and Blade at TaleWorlds website or on Steam.